Camping at Little Pine Island focuses on having fun in God’s creation and teaching practical skills that many kids have not had the opportunity to learn. Drawn primarily from Salvation Army Community Centers, camper’s physical, social and spiritual needs are met in a way they will take with them long after camp is done. As an extension of character building programs in local communities, these camps encourage kids to earn emblems in various activities such as physical fitness, ecology, nature, aquatics and safety skills classes that meet every day needs. Whether an expert or beginner, campers find the experience of being in a choir or band to be fun and educational. Participating in drama and contemporary worship planning helps create tomorrow’s leaders of today’s youth. 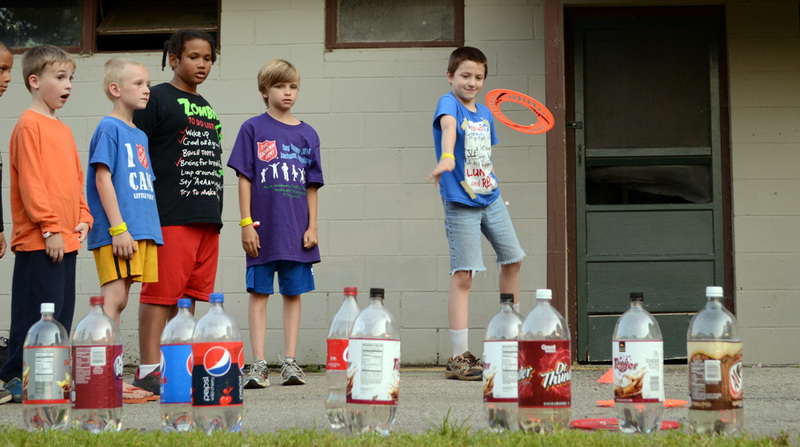 The Salvation Army’s Little Pine Island Camp serves kids living in Western Michigan and Northern Indiana (WMNI Division). There are 28 Corps (The Salvation Army Churches) that are part of this Division. When registering for summer camp, each camper registers through one of these Corps. Summer registration begins each year on May 1st. For a complete listing of the Corps in this division, click here. A $5.00 non-refundable fee is submitted with each registration. Campers receive a $5.00 credit for the camp store upon arrival. Additional transportation or registration fees may be requested by local service centers. Please contact the Corps (The Salvation Army Church) nearest you for additional information. What does my child need in order to apply? A desire for a boatload of fun and a little information can get your child registered. Necessary information includes: a copy of his/her health insurance card, an up-to-date immunization record, and completed forms for health history, Summer Food Service Eligibility & an activities “Informed Consent” form. Don’t forget to check for all those “need your signature” spots! Please contact the Corps nearest you for additional information and the forms that you need to fill out.